Daniel was born, raised, and still proudly resides right here in Antioch, CA. Nearly four decades later this unique, beautiful and diverse city of over 110,000 people continues to offer new residents the value, leisure, and opportunity he has also enjoyed for so many years. Daniel has been working in Real Estate and related fields for the last 13 years. Hi objective is to consistently offer goal oriented service that is friendly, focused, informative, and achieves his clients’ real estate expectations and goals. 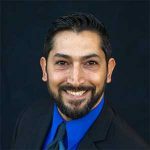 Daniel found his start in the Real Estate Industry as a Loan Officer, working for several years with a local brokerage company originating residential home loans. He soon found emerging opportunities in Multi-Family Residential Property Management overseeing portfolio operations in Northern California. Call it fate or just plain good sense, Daniel has happily joined his long-time friend, Rick Fuller and his Team as a Listing Specialist. “I can accept nothing short of providing all my clients, one at a time and without exception, an experience they are excited to tell a friend about”. These are not just Daniel’s words but core principles tested, taught and exemplified by the leadership of this Agency. 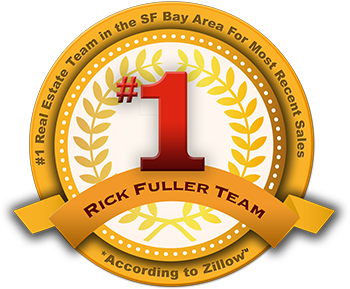 “It is only with the unparalleled support and collaboration working with the Rick Fuller TEAM, that I can offer my clients the most relevant and actionable insight and advice, an unmatched marketing strategy, and the steady guidance needed to navigate them to their Real Estate goals”. Daniel is married to his best friend of 18 years, Elise. They met in a High School English Class during the 10th grade. Soon to become the best of friends, they couldn’t have known then that they’d spend the rest of their lives together. They have a beautiful daughter, 16 years old- going on 25, and an amazing son who is 9 years old- and in no hurry to grow up! These little apples didn’t fall far from the tree- they love nothing more than to join Mom and Dad for adventures out on the Delta, Camping trips, trail hikes, and an ever growing list of destinations unknown.